An independent travel guide to Pu Luong with candid reviews and recommendations. No sponsored content, no advertorial. 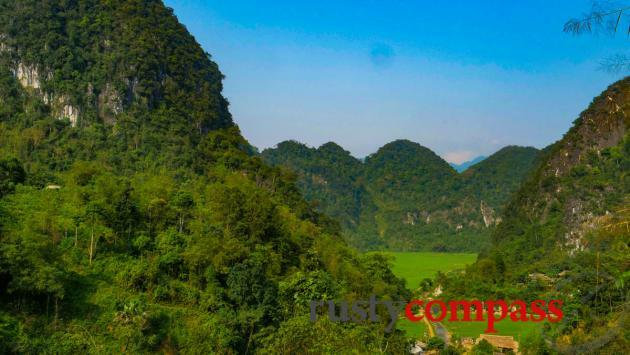 Pu Luong Nature Reserve, around 4 hours south of Hanoi, is one of the most spectacular areas of Vietnam’s north with soaring limestone peaks and deep green rice terraces dotted with ethnic Thai minority villages. What makes Pu Luong Nature Reserve very special is that so far, it's relatively untouched by mass tourism. This is a perfect place for a couple of days of trekking or chilling. If you don’t mind hills, its quiet sealed roads are perfect for cycling too - though good bicycles are hard to come by. The limestone mountain regions of Vietnam’s north are home some of the most dramatic landscapes in South East Asia. In Pu Luong, limestone peaks puncture the clouds and dramatic rice rice terraces overlook ethnic Thai villages, home to distinct cultures that have inhabited these parts for centuries. The main ethnic group living in the reserve are Thai and their native tongue has some overlap with the Thai language of Thailand. They learn Vietnamese in school so everyone is bi-lingual. English is not widely spoken. It’s a tourism cliche but the locals are incredibly friendly. You can easily spend 2 or 3 days mixing your time walking, trekking, cycling and relaxing in one of the delightful traditional style accommodations. Everything is blissfully simple. Pu Luong is largely undeveloped as a tourism destination. That may be its best feature - and it won’t last. We hope the area’s inevitable tourism development is more sustainable and sympathetic than what has occurred in other parts of Vietnam’s north. I only spent a few days in Pu Luong so I didn’t see everything. I saw enough to love the place though, and to know I’ll return soon. And I saw enough to hope Pu Luong doesn’t follow the same development template that has been adopted in places like Sapa - another region of stunning mountain country and ethnic minority communities. I loved walking and trekking in Pu Luong. I went for walks each morning and each afternoon and they were wonderful. Apart from a walk to Bat Cave and the small village of Ban Muong, (the cave name in Vietnamese is Hang Doi), I wandered without a plan off the main roads down tracks through rice terraces and small villages. It was glorious. This is beautiful country for cycling too - as long as you don’t mind the hills. We didn’t see bicycles for hire though there were bikes for guests at Pu Luong Retreat. You’ll need a proper bike to traverse the terrain. Motorcycle enthusiasts also love this area. Pu Luong Nature Reserve experiences similar weather conditions to the nearest major city, Hanoi, with four distinct seasons. The best times to visit are spring (March - May) or autumn (September to November). In winter, expect misty conditions, low visibility and cool to cold conditions - especially at night. The summer (June - August) is hot and humid (mid-thirties) with more rain. I enjoy places like Pu Luong across the seasons - especially the visually spectacular hot summers with deep green rice fields, cascading waterfalls, spectacular storms and deep blue skies. But it can get very hot and humid. The foggy, cold winters also have a charm. I travelled to Pu Luong aboard a luxury bus operated by a company called EcoTravel. Buses depart Hanoi each morning at 7.30 (check for latest info) and cost 400KVND one way. The bus operates via Mai Chau and due to a cumbersome pickup process in Hanoi and the Mai Chau stop, the journey is around 6 hours - 2 hours longer than travel by private car. If there are 3 or more people travelling together, a private car will be a quicker and more flexible option - it will cost a little more. The bus is a good option too though. Very comfortable (3 seats across) and the drivers we encountered were surprisingly mild mannered. 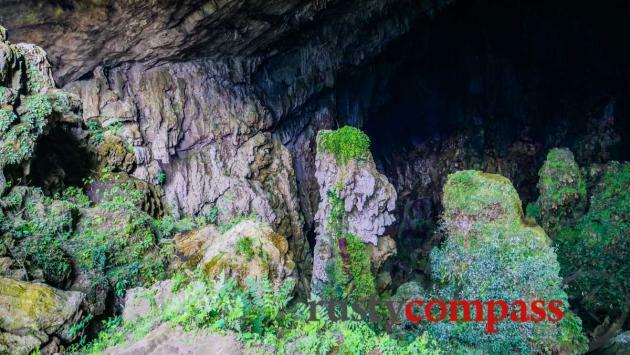 EcoTravel’s bus services also operate to Ninh Binh. 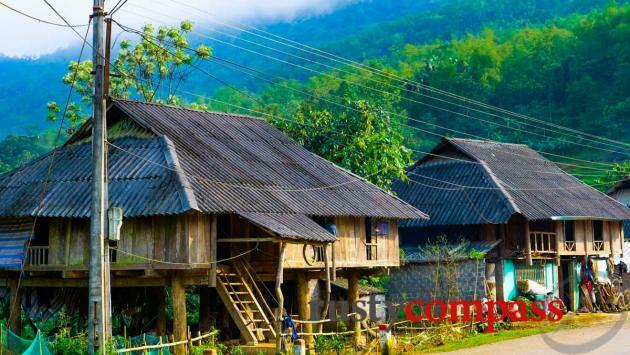 Many travellers will use their service to visit Mai Chau, Pu Luong and Ninh over several days. The company also has accommodation in each place (see below). 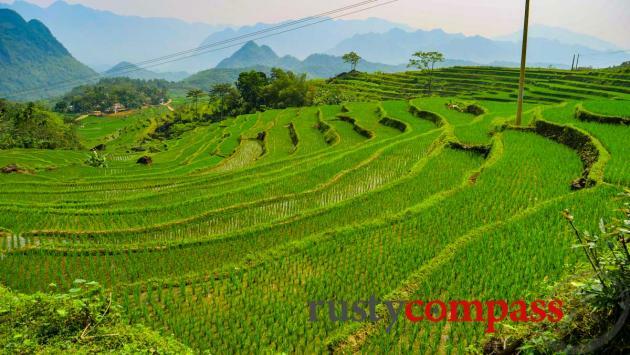 There are a couple of outstanding places to stay in Pu Luong. We don’t mean luxurious. We mean tasteful, in beautiful surrounds, that are a good fit for the local environment. Pu Luong Retreat and Pu Luong home, owned by a Hanoian but run by local ethnic Thai staff, are a good model for what we hope might follow as this area develops. Most of Pu Luong’s accommodations are small traditional stilt guest houses or homestays with dorm beds. You’ll often find a couple of private rooms in them too. They’re spread in clusters around the Nature Reserve. There’s no “central” area. Ban Don is the most popular spot. It’s where the two fanciest resorts are located (see below) and there are lots of guest houses too. I loved the picturesque village of Ban Muong and there’s a simple dorm-style guesthouse there too. But you’ll likely need to carry your luggage quite a distance (or put it on a motorbike) - I didn’t see car access. Gorgeous traditional ethnic Thai-style bungalows - with added comforts. Stunning views across the rice terraces. This seemed to be the nicest accommodation at Pu Luong and tasteful to boot. They also have a swimming pool. Be careful if you’re booking on booking.com etc. The toilet status (private or shared) will be in the fine print. Next to Pu Luong Retreat, Pu Luong home feels a little more simple - but I loved the feel here. There’s a mix of private rooms with bathrooms, private rooms with shared bathrooms and dorm rooms. All are nicely done. Be careful if you’re booking on booking.com etc. The toilet status (private or shared) will be in the fine print. The private rooms with shared bathrooms are great value for money. This is where I stayed. It was still under construction during my visit in March 2019. Was shaping up to be a more imposing property - but still relatively tasteful. More like a hotel - other properties have a more traditional feel. Friendly team. Similar room mix of dorm, private rooms with shared bathrooms (very small and basic). The private rooms with private bathrooms are the pick for views and amenities and are in a single block. We’ve also heard good things about Pu Luong Tree House but didn’t check it out this time.